October is National Chiropractic Health Month! Believe it or not, back pain is considered one of the most disabling conditions worldwide! People struggle every day with this issue, yet don’t realize how helpful visiting Connetquot Chiropractic could be for them. For this October, the American Chiropractic Association (ACA), has decided to encourage people to get active. Living an active lifestyle doesn’t only benefit your overall health, but more specifically benefits your musculoskeletal system. For National Chiropractic Health Month, make your health a priority! What are the benefits of going to chiropractic care? The goal of this treatment is to reduce nerve irritability, improve functionality, and restore the range of motion in your back. This is done by applying a thrusting pressure to any abnormal vertebrae in the back. This deals with another type of manipulation through movements and stretching of your muscles and joints in the irritated areas. A universally used technique that helps adjust the lower back or pelvis area. Its benefits include the realignment of joints, reduced pain and/or stiffness, and increased mobility. This technique involves an instrument that gently stimulates the vertebral segments of the spine. This can lead to relief from back pain to migraines. This is a technique that requires specific adjustment materials. It treats conditions like disc herniations, facet joint pain, scoliosis, and many more. This technique targets the spine and/or other extremities. It requires a specific type of adjusting table, like the Flexion-distraction technique. By applying hands-on thrusts to the back, this technique can help restore movement and/or alignment of the spine. 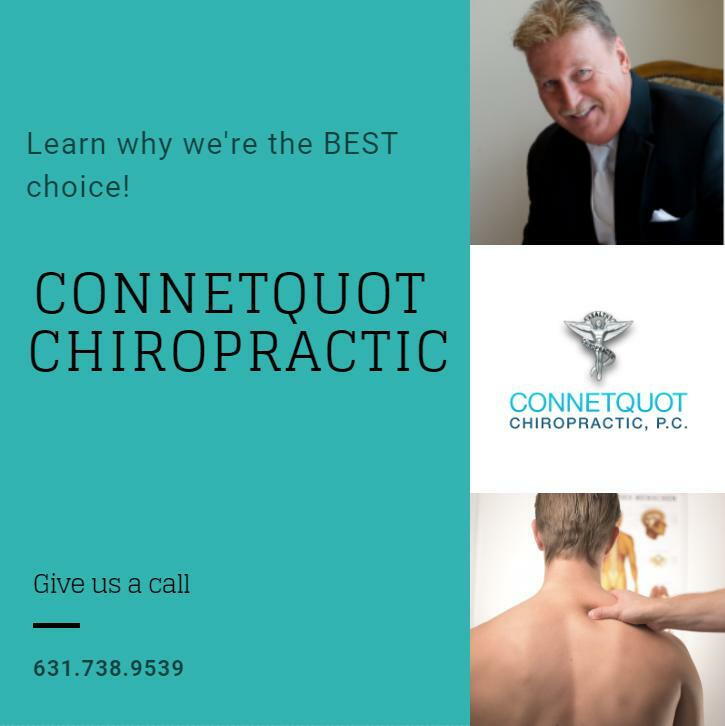 They say there's no better time than the present, so make an appointment with Connetquot Chiropractic! No matter what type of pain you have been experiencing, our team is ready to help!